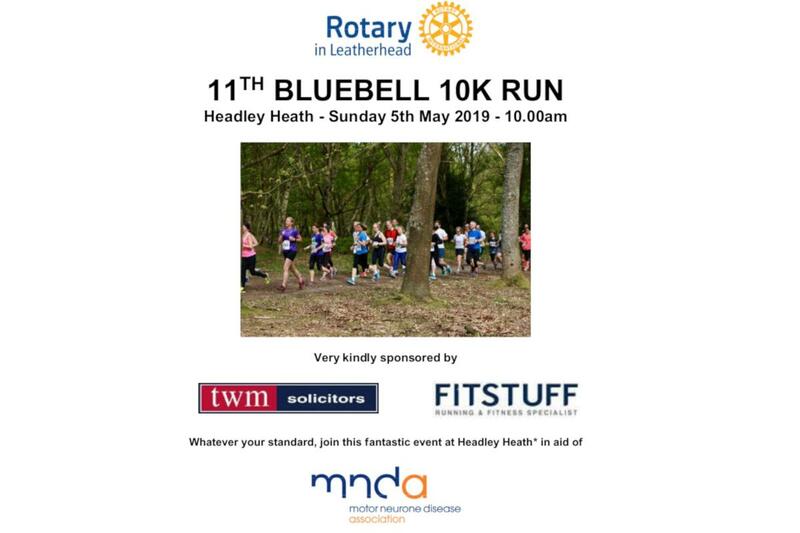 On May 5, 2019, Leatherhead Rotary Club will be hosting their 11th annual Bluebell 10km run through the Headley Heath to raise funds for the Motor Neurone Disease Association. The event is very kindly being sponsored by TWM Solicitors and FITSTUFF. Entry forms are available from www.rotarymidsummer10k.com or www.208events.com.